Dr Cornel Li Fook Kwan, a prominent owner in Hong Kong whose star runners have included Able Friend and Able One, has died. Able One and, more recently Able Friend, carried Dr Li's black and gold colours with distinction, while his brother Alan Li Fook-sum was chairman of the Hong Kong Jockey Club from 1998-2002. Able One captured the Grade 1 Hong Kong Mile for Dr Li and Moore in 2011 and also back-to-back runnings of the Grade 1 Champions Mile in 2010 and 2011. He was named Champion Miler in 2010. However, it was Able Friend that starred for the owner. The gigantic son of Shamardal was crowned Horse of the Year and Champion Miler in Hong Kong in 2015 and was also ranked the third-best horse in the world in 2014. 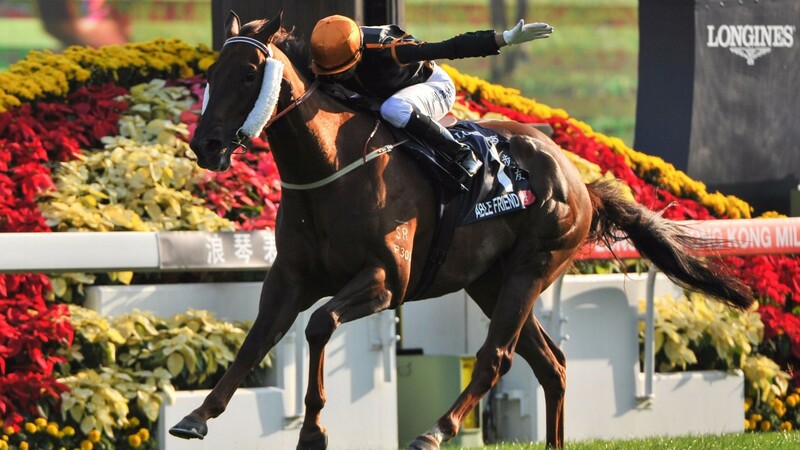 He carried Dr Li's silks in the Queen Anne at Royal Ascot in 2015, although he was unable to match the level of form he had shown in Hong Kong when running up a string of Grade 1 wins under Joao Moreira. Able Friend may now be approaching the end of his racing career, with his off-fore foot, which caused him to miss much of 2016, still causing him aggravation. Moore said: “There’s no doubt he’s the best horse I’ve had my hands on. I still have to talk to Mrs Li about it, but, in consideration of the vet reports and the MRI scans, retiring Able Friend looks the most likely path.